Congratulations to the Newly Crowned Slocomb Queens :: RickeyStokesNews.com! Slocomb crowned news Queens for the upcoming year Saturday night. But what was rare is that Last years Queen and this years Queen are TWIN SISTERS! 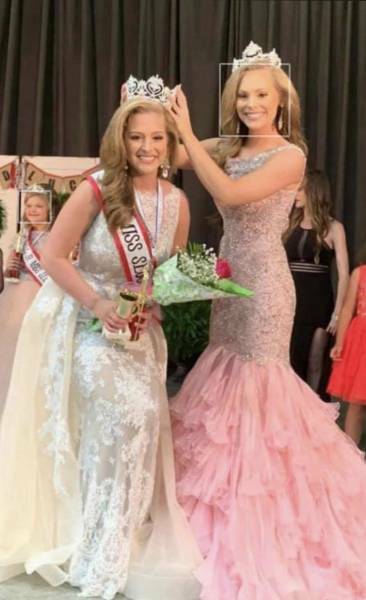 This a picture of Hannah Crosby passing the crown on to her twin sister Haley. Hannah and Haley Crosby are seniors at Slocomb High School. Parents are Craig Crosby of Dothan and Leah Cumbie of Slocomb.